This Certified Project Management Course is for anyone who wants to gain practical project management skills that will be effective in any situation. Our high-impact, 4-day workshop combines practical and theoretical learning to equip you with skills you can put into action immediately. Our goal is give you both the skills and confidence to participate in and manage projects effectively. This is also an excellent option for anyone who wants to put their project management career on the map with a recognised certfication. The project management approaches covered during this course can be applied to almost any project management situation across every industry. On successful completion of this course and its assessments, you will be eligible for a QQI Level 6 Certification. Credible certification is a must-have for project managers in every sector. We have developed the course content for this Certified Project Management Course in line with principles of the globally recognised A Guide to the Project Management Body of Knowledge (PMBOK® Guide) - Sixth Edition. A blend of practical and theoretical learning during this course gives you the opportunity to put aspects of your learning into practice and gain valuable feedback from your trainer. One of the key benefits of this course is having the confidence to put your learning into action and lead projects with skill and competence. 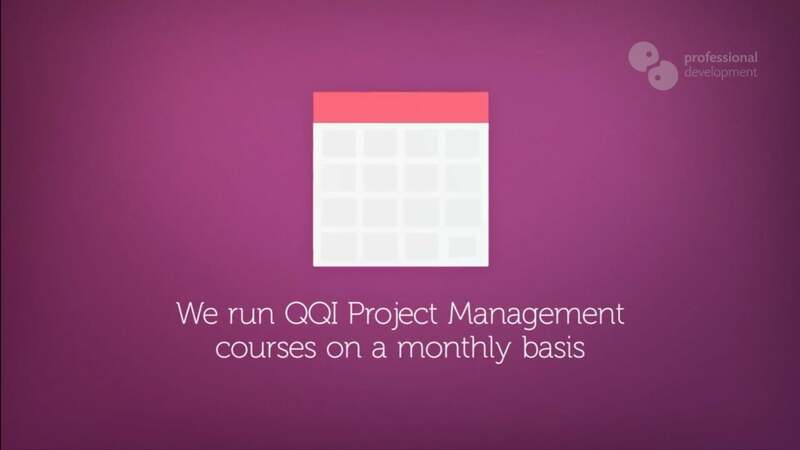 What is covered in this Certified Project Management Course? 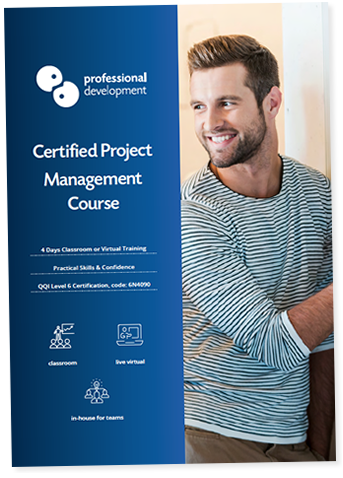 Who Attends This Certified Project Management Course? This course is designed for anyone who wants to gain versatile, relevant project management skills they can apply in any environment. You can download a detailed course brochure by clicking below. If you'd like to get started, you can also click below to request our current course schedule. We also run this Certified Project Management course as a tailored, in-company (in-house) programme. In-company training means that we deliver this course to your chosen group of participants on a date and at a venue that you choose. We offer in-company training in any Irish location, and can also deliver this style of training outside of Ireland. We can customise the course content to focus on important aspects of projects your team are planning or currently working on. Click the button below to visit our in-company course page. You can find out more about the benefits of running this Certified Project Management Course as an in-company programme in your organisation. If you would prefer to speak with us, you can reach our training consultant team at Freephone 1800 910 810.